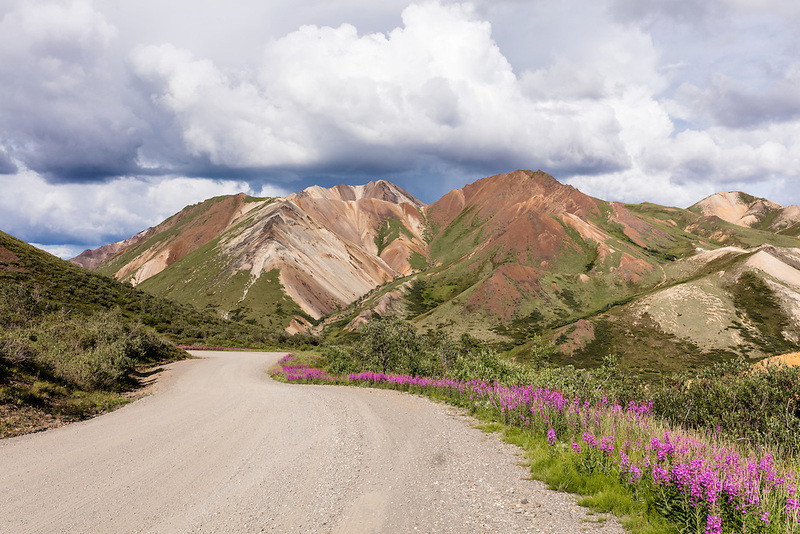 Colorful mountain and Fireweed (Epilobium augustifolium) at east end of Sable Pass in Denali National Park in Southcentral Alaska. Summer. Afternoon.